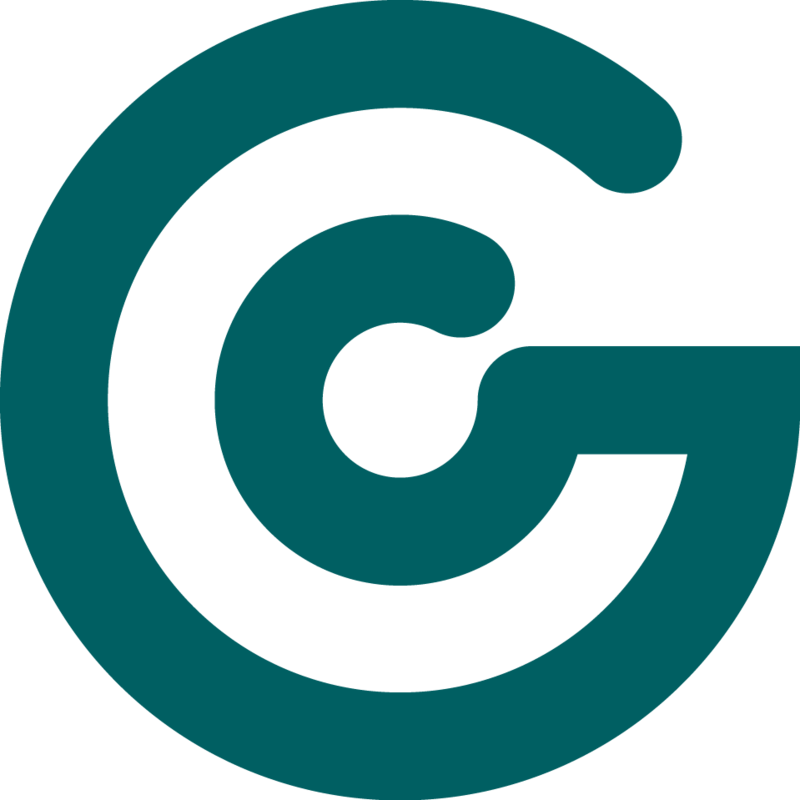 Pitchers and mugs have easy-to-use handle designs, which allow for one handed pouring, and specially designed entry points for insertion of a straw. Lids for the pitchers and mugs are designed to provide a leak resistant closure with straw access. Graduated liners are available for the pitchers. All water pitchers and insulated mugs are latex and BPA free. Unbreakable plastic tumblers with rounded rims offer an easy to hold drinking cup. 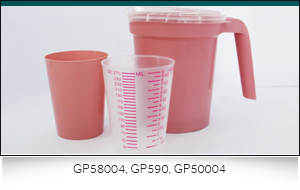 Internal molded graduations in the GP58003 and GP58004 tumblers and the red printed graduations on the GP590 provide means of accurately measuring patient intake of hydrating fluids. All tumblers and intake cup are latex and BPA free. Designed to accommodate beside pitchers, tumblers, or both. Non-skid bottom with rimmed edge to capture condensation. 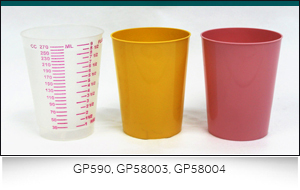 Color matches to tumblers and bedside pitchers. 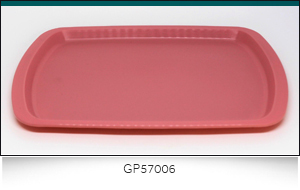 All service trays are latex and BPA free.